Almost an instant classic, Booth Tarkington's 1921 small-town morality tale reached the screen two years later courtesy of King Vidor and Encore Pictures. Vidor's wife, the beautiful Florence Vidor, played the title-role, a girl of modest means who pretends to be wealthy to her friends in general and socialite Arthur Russell (Vernon Steele) in particular. The highlight of the film -- and the book -- is the disastrous dinner party given in Arthur's honor. 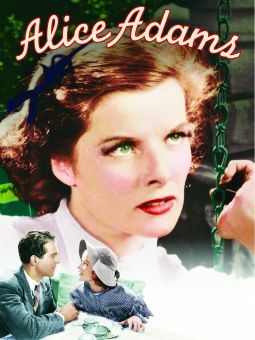 RKO remade the story in 1935 as a vehicle for Katharine Hepburn, with Fred MacMurray as Arthur and Evelyn Venable as the debutante Mildred Palmer, a role played in the 1924 original by Gertrude Astor.